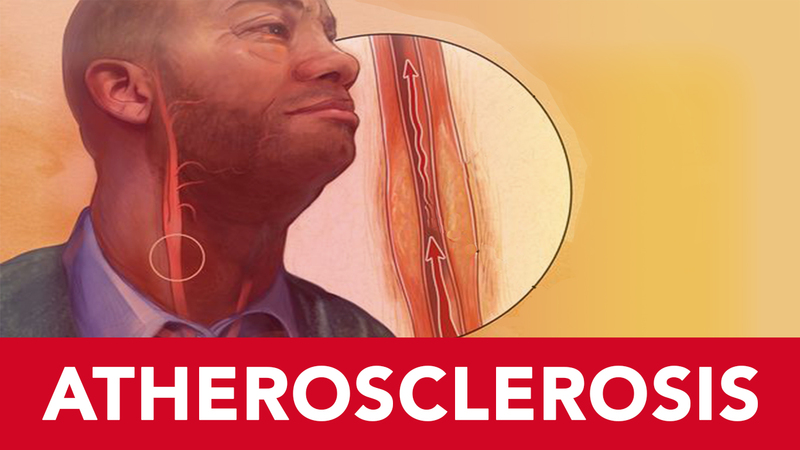 Atherosclerosis is a type of vascular disease that affects the arteries of the body. Arteries are blood vessels that carry oxygen away from a heart. These arteries work with veins, which send blood back to heart, to keep the heart pumping. This function allows for the removal of chemical waste from your body, as well as moving oxygen and other nutrients. With atherosclerosis, these arteries become the perfect places for fatty substances like cholesterol and cellular waste products to build up over time. The substance that clogs the arteries is called plaque. This makes the arteries narrower, which causes problems in blood flow. It is a disease that is hard to detect early on because for it to be detrimental, there has to be a significant amount of plaque build up. Unfortunately, atherosclerosis is the number one cause of death in the developed world. Almost all people are affected by the age of 65. Developed countries are more exposed to a variety of “junk” food and fast food, which is why it is common for people in said countries to develop this disease. People get affected by atherosclerosis in different ways, and there are different types of atherosclerosis, with some examples being angina and carotid artery disease. Angina is where the heart has reduced blood flow, causing chest pains. Carotid artery disease refers to neck plaque that prevents blood from supplying blood to the brain. Some people may have partial plaque build up in the legs, while others could have a complete blockage of arteries in their arms. The best and most effective way to prevent this disease is to stay healthy by eating healthy foods, exercising, and not smoking. Eating healthy provides the right nutrients, and exercising keeps your body and organs strong and working properly. Smoking also increases the chances of plaque build up. Following these three steps will help prevent plaque build-up.